One sign that the alliance between academia and life-science corporations has become significantly closer since the 1980s is that industry now provides about 70% of all funding for clinical drug trials in the United States.1 Similarly, many academic nutrition departments are entirely underwritten by corporations,2 and more than half of the advisors to the US Food and Drug Administration have financial relationships with pharmaceutical companies.3 These ties may create conflicts of interest that, for instance, compromise the scientific and peer-review processes, prevent the timely dissemination of data, and complicate the monitoring of public health advances. In principle, though, the financial goal of industry—the rapid development of safe, effective drugs—should happily converge with the hopes of clinicians and patients for new treatments. But the financial success of a drug often lies as much in the packaging of its research results as in its potential therapeutic effect. 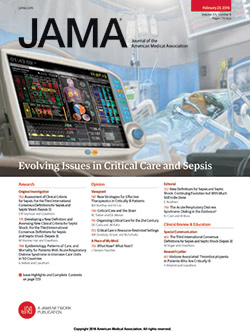 In this issue of MSJAMA, Sameer Chopra surveys the conflicts of interest that can arise when industry is directly involved in acquiring and interpreting data from clinical trials. He underscores the need for transparency and intellectual freedom in biomedical research and also highlights the role of journal editors as guardians of research integrity. Peter Whitehouse discusses how investigators themselves have attempted to rein in financial conflicts during drug development for Alzheimer disease. Rigorous extramural or self-imposed oversight of research activities can go only so far, however, to serve the public health. As long as biomedical research retains its mostly for-profit structure, the invisible hand of the market will likely fail to realign research expenditures according to disease burden. Alexander Iribarne discusses the challenges in developing treatments for "orphan" conditions, which include diseases that are rare or endemic to developing countries. He describes how legislative incentives and public-private partnerships can encourage the development of "orphan" drugs that would otherwise have low market potential. Perhaps just as important as showing a robust therapeutic effect of a new drug over a placebo or first-generation control is a thorough cataloging of negative clinical trial results. One in 1000 drug candidates goes to trial, and of these, 80% are rejected at phase 1 or beyond.4 Unfortunately, clinicians seldom learn of these negative results. Just as a pertinent negative in a patient's clinical history can whittle down a differential diagnosis or the publication of a negative genetic association can refocus basic research, so too could negative trial data nudge researchers toward more promising disease targets. Active disclosure of such findings could only enhance the alliances whose financial or altruistic motives ultimately serve the public health. Nestle M. Food Politics. Berkeley, Calif: University of California Press; 2002.